7-8:30 pm, Monday Nov. 5, Oregon Historical Society, 1200 SW Park Ave; Free and open to the public. In celebration of the OHS exhibit, Barley, Barrels, Bottles, & Brews: 200 Years of Oregon Beer (which runs through June 9, 2019), a historian and scientist will present together on the history and present condition of the state’s hop and beer industries. First, Peter A. Kopp, author of Hoptopia: A World of Agriculture and Beer in Oregon’s Willamette Valley, will overview the global origins of the hop and beer industries that arrived in Oregon from European traditions in the nineteenth century. Finding incredible environmental conditions and a niche in the global marketplace, the Willamette Valley earned the title “Hop Center of the World” by the early 1900s. Despite a variety of problems—from Prohibition to the introduction of a dangerous plant disease—success has lasted through to the present and integrated into the craft beer revolution. Second, Thomas Shellhamer, a world-renowned brewing scientist housed at Oregon State University, will dig deeper into the biology and chemistry of hops and their function in beer making. Why do the beers of the craft beer revolution taste and smell the way they do? Do hops have other functions? 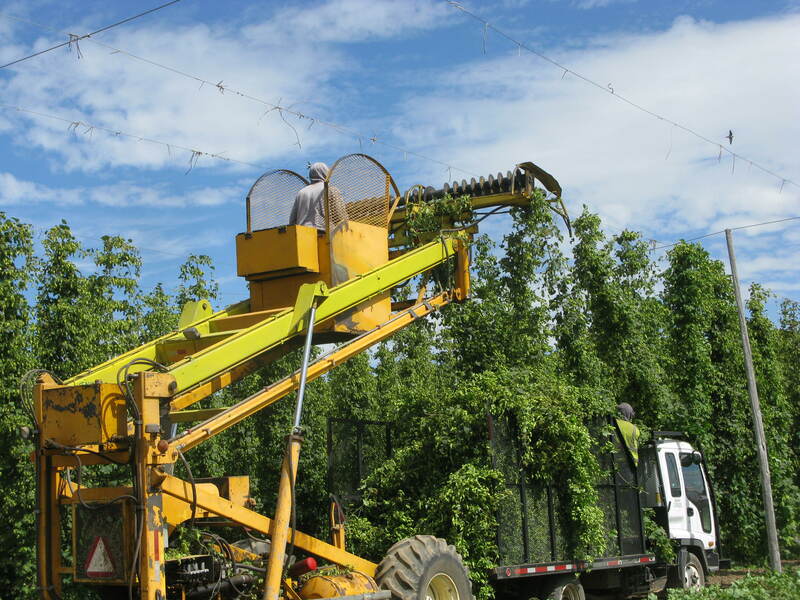 In answering these questions, Shellhammer will discuss recent developments in brewing, such as dry-hopping, and will offer insight into how these trends have affected hop usage and what kinds of hops are grown here in Oregon and around the world. Dr. Peter A. Kopp is Associate Professor of History and Director of the Public History Program at New Mexico State University. In 2016, he published the award-winning book, Hoptopia: A World of Agriculture and Beer in Oregon’s Willamette (University of California Press). Dr. Thomas (Tom) Shellhammer is the Nor’Wester Endowed Professor of Fermentation Science in the Department of Food Science and Technology at Oregon State University, where he leads the brewing science education and research programs. His brewing research investigates hops and beer quality and the origins of hop aroma and flavor in beer.